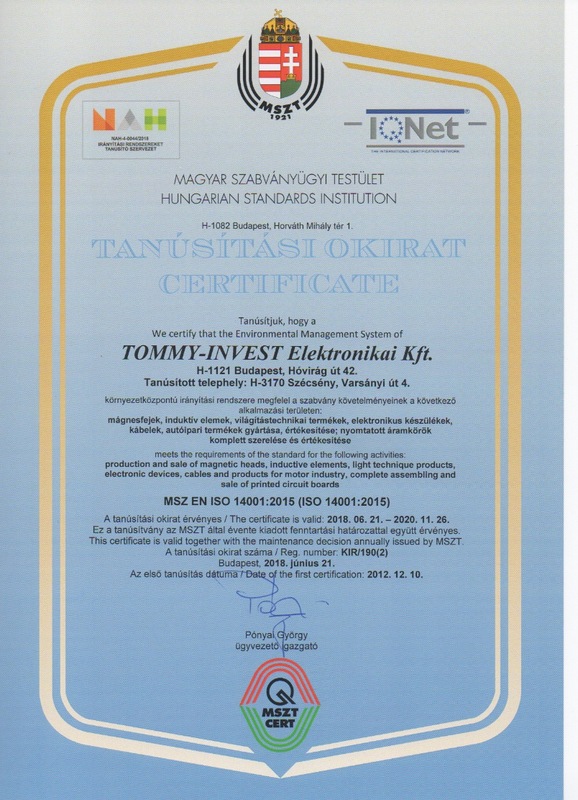 Tommy Invest Electronic Llc. 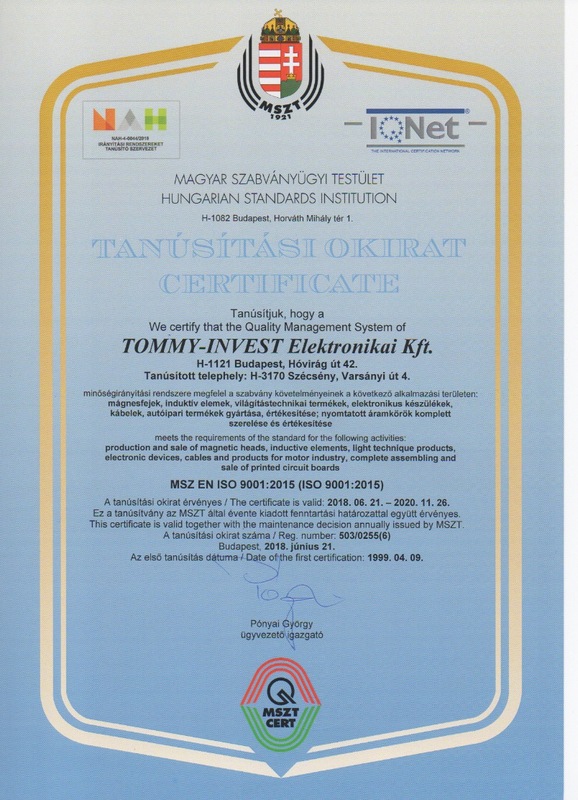 ( Ti-Electronic) was founded in 1992 and in its early years it was mainly engaged in research. Production was carried out by the Electronic and Mechanic Llc (EM), also founded in 1992. 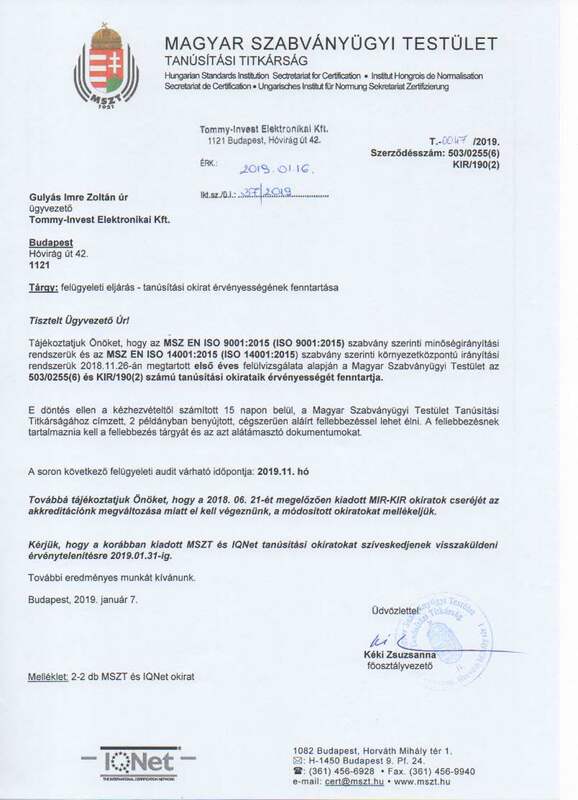 The two companies became leaders in electronics on the area of research, development and production in Hungary.2003 EM’s industrial park in Szécsény was bought up by TI Electronic, so it became an important CEM/EMS producer in the Central European region. Currently our company works on a production area of 12. 000 square meters with a production staff of 195 people completed by other colleagues responsible for development and quality control. Our company offers high-quality production, exact delivery dates, favourable prices and flexibility to our customers. Our company has many years of experience in the production of high-volume electronic products and on the area of professional electronics. Between 1994 and 2003 the company produced 3,5 million electronic parts for Grundig televisions every year. 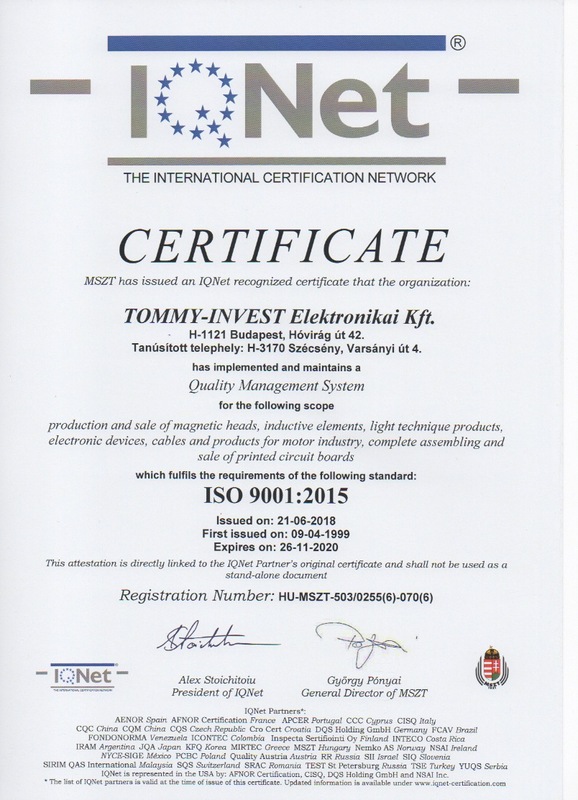 Installation of finished products, printed circuit assembly and development, precision engineering installation, production, planning and development of magnetic heads, production and development of inductive elements, cable confection, lighting technology installations – production of ballasts. Our favourable prices are assured by our experience of 20 years and our geographical location. Our company has an own factory for plastic injection moulding and mechanical treatment, what enables us to react past and flexible to our customers’ needs. The development of our new products is carried out by our own team. We are also running an own delivery department to grant exact delivery dates. 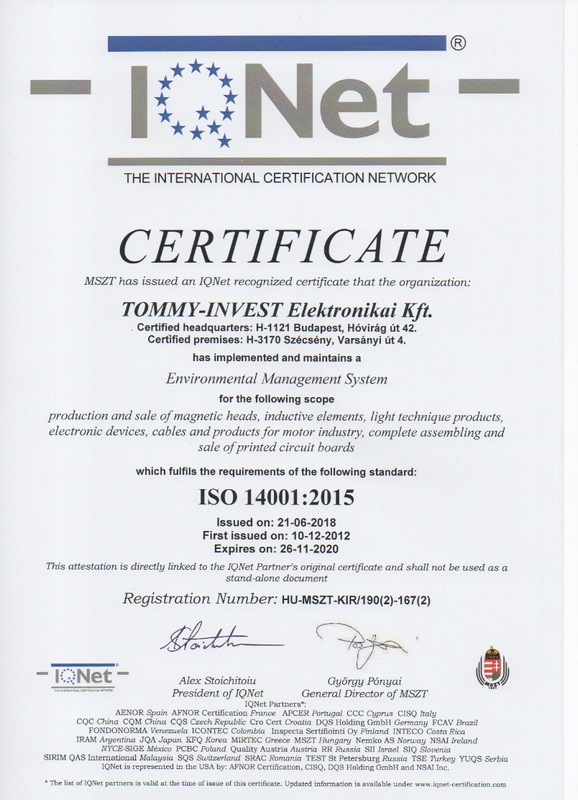 Our company has ISO 9001, ISO 14000, DIN, UL, VDE certificates confirmed by continuous audits.